Hi all! Vinyl Pulse is happy to partner with Great Twins to bring you the Great Merlion Figure Design Contest. 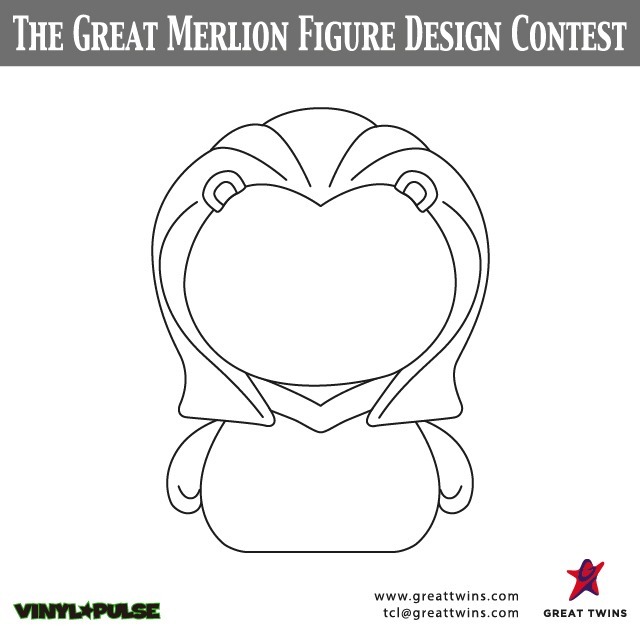 This is your chance to have your inspired, awesome, and eye-catching design included in an upcoming 2” Merlion mini series! This new platform figure is inspired by Singapore’s national icon – the Merlion, part lion, part sea creature. If you’ve got great ideas, would love to have your design appear on a production vinyl figure, and are able to express that design using Adobe Illustrator, this is your shot at toy immortality. Read on for all the details. The deadline for submissions is June 30th, 2018 at 11:59 PM PDT. Good luck! 1. 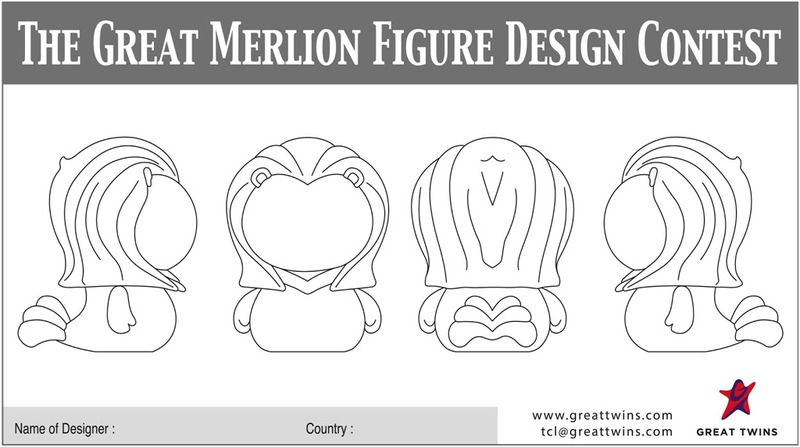 Download the Official Blank Merlion Template in Ai format (here). The JPEG image of the template (above) is for reference only, and can not be used for submissions. 2. Illustrate your designs on the Blank Merlion Template in Adobe Illustrator. 3. All Design Contest Submissions are to be in Ai (Adobe Illustrator) file(s). No other file/format (JPG, hand-drawn etc) will be accepted as a "design submission". This requirement is non-negotiable. In addition to the AI submission, please also attach a JPG for our visual reference. 4. This contest is rated PG-16, please design accordingly. The "Merlion" is a "national mascot character" representing Singapore, hence no religious, racial, defamatory, adult imagery or connotations are allowed nor will they be accepted. Great Twins reserves the right of refusal of submission(s) deemed inappropriate, without any form of clarification or notice. 5. You may submit as many different designs as you wish. 6. Email your completed design back to [email protected] by the deadline of 11:59 PM PDT on Saturday, June 30th 2018. Be sure to use the subject title: “Merlion Design Contest Submission” --no exceptions. Please include your NAME and COUNTRY of origin as well as your Twitter and Instagram names if you have them. The email account you submit your designs with will be used to communicate with you hereafter. 1. The Contest Winner(s) will be chosen by Great Twins. The number of winners will be determined by the quality of entries and has not been pre-determined. 2. 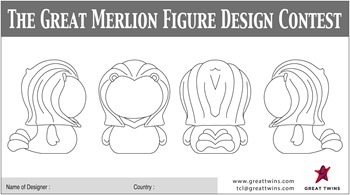 Winning design(s) will be produced and included in an upcoming Merlion Blind Box 2-inch series from Great Twins ( Series 1 or 2), or may be released as event exclusive releases. 3. Winners will also receive 40 pieces of their own winning design. 4. While Great Twins will cover shipping costs, they will not cover custom duty/tax for the items. Please hit the jump for the full Design Contest Terms and Conditions.